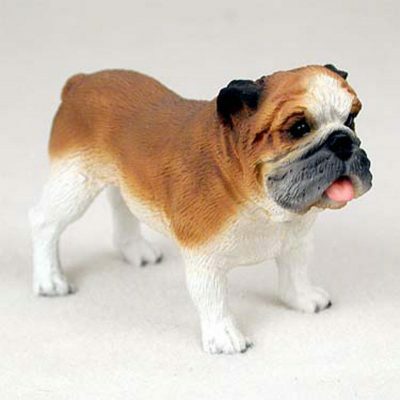 The standard Bulldog figurine uses gray, white, black, and brown/orange colors to build the color scheme. White is visible on the paws, legs, stomach, chest, neck, and between the eyes. Black covers the ears, eyes, and nose. Shades of gray/black can be found around the mouth. 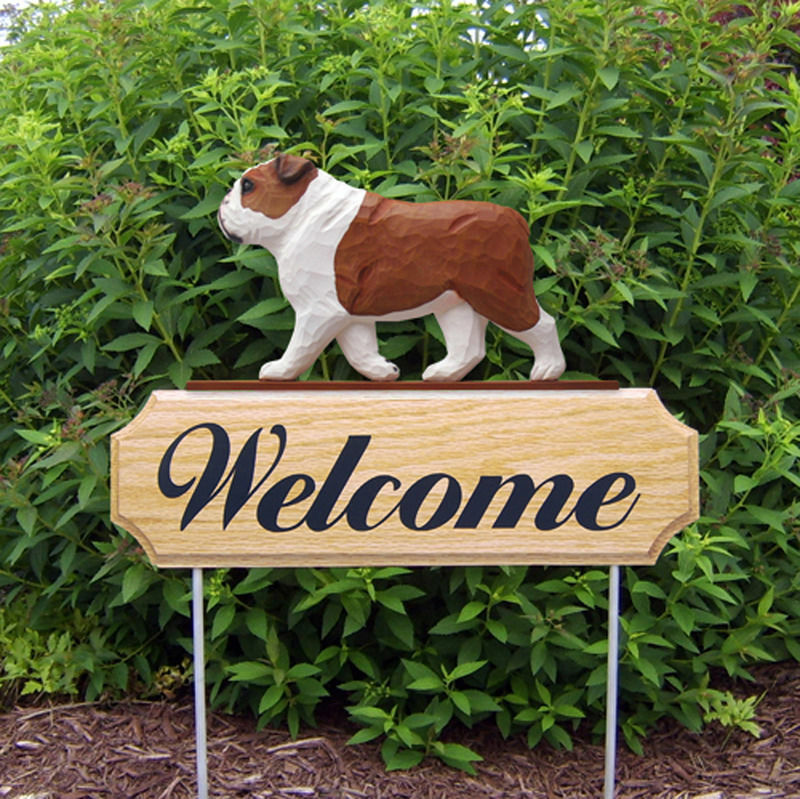 The brown/orange color covers the tail, rear, back, sides of the stomach, back of the neck, and above the eyes. 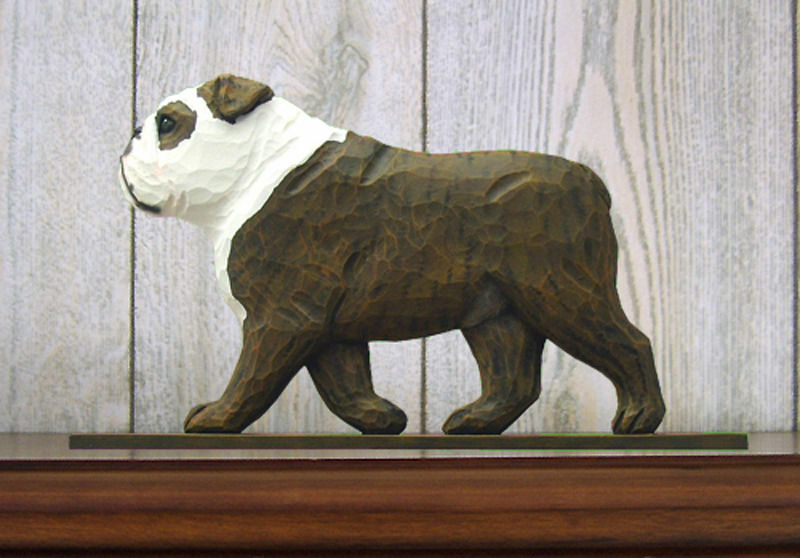 The build of the Bulldog figurine is stout, stocky, and strong. 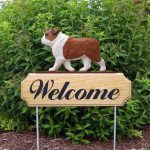 A low to the ground stance, thick short legs, large face, broad chest, and lean rear create the ideal Bulldog figurine for any dog lover.